I want to drive my own tuktuk/car/scooter in Sri Lanka and have a South African Driving License: do I need an International or Sri Lankan license in order to drive around Sri Lanka? Home / Licensing / I want to drive my own tuktuk/car/scooter in Sri Lanka and have a South African Driving License: do I need an International or Sri Lankan license in order to drive around Sri Lanka? Before you leave in your tuktuk, car or even scooter to discover Sri Lanka, here’s some essential information on how to organize the right documentation for your road trip. Your South African license is not valid in Sri Lanka. This means that you will have to get an international driver’s license, also known as IDP (International Drivers Permit). With this IDP you can then get a Sri Lankan Temporary Driving Permit. 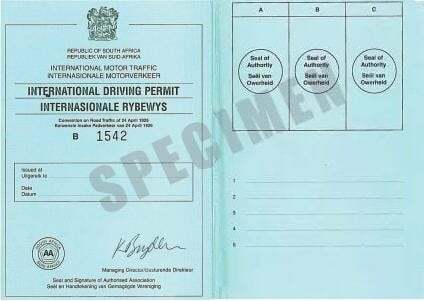 We’ve broken down for you exactly what you need to do in South Africa to get your precious international driving permit. Prepare the following documents: a valid South African license, one passport photo, ID-card, your home address and, if that applies to you, your AA-membership number. Start your application here by filling out this form. This is also the moment where the payment will be made (for approx 265 South African Rand). During this application, you chose an AA-office near you from which you can -when you receive a confirmation- pick up your international license when ready. Remember to bring your ID, license, the confirmation email and a passport photo when you pick up the license! Please note that you can only apply for your personal international driving permit; so you cannot get it on somebody else’s behalf. Now that you are the proud owner of your own IDP, your Sri Lankan license is only one small step away. If you want to organize your own Sri Lankan driving license, visit the AAC (Automobile Association of Ceylon) when you make it to either Kandy or Colombo. Of course there is always the possibility to let us take care of this bureaucratic business, so that you can spend your precious holiday time on Sri Lanka’s beautiful beaches. Once you make a booking with us here, we will make sure all your documents (Sri Lankan license and/or IDP) are ready upon arrival. Check this website for more details on how to get your International Driving Permit before leaving South Africa. And for more details on the different Sri Lankan licenses and which institute does what, check this article!